A new boutique and dress store will be opening in Minonk on Saturday, October 27th. White & Rustic, owned at operated by Minonk resident Haley Ruestman, will be located at 168 W. Fifth street in Minonk, immediately west of the Post Office. 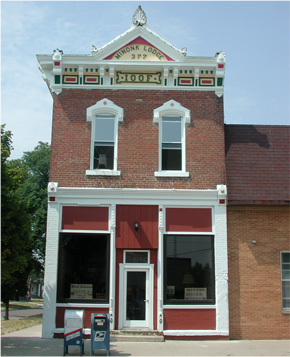 The building was originally occupied by the Odd Fellows fraternal order and more recently was occupied by Dave Uphoff who had his office in the building. Come by the 27th for refreshments, shopping, & even a drawing! To visit White & Rustic Facebook page click here. We welcome Haley to the Minonk business community and wish her well in her business. Below are her store hours which are subject to change. 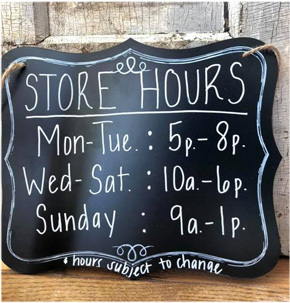 Above are the store hours for White & Rustic. To the right is the store front.